Kieran’s first association with Nakkertok came as a midget skier back in the days when you could load the whole ski team into a single, aging Dodge Minivan. After moving through the ranks of the Nakkertok racing team, Kieran went off to the University of Waterloo where he practiced the fine art of balancing varsity cross country skiing, a variety of sports, both real and fantasy, and courses in 19th century Russian history. Along the way he started to take a few coaching courses and realized that he might be able to stretch this gig even further by picking up some part-time coaching work back at his old alma mater. So far so good. These days Kieran is mostly occupied with keeping the L2C athletes fit and focused, and taking some lumps from the clever ones. Outside of Nakkertok, Kieran is a fairly big deal journalist, writing on a wide selection of ski related topics for FasterSkier.com. Outside of skiing, Kieran enjoys bouldering, hiking, chopping wood with his father, and drinking tea. When he was of RR/Midget age he was introduced to cross-country skiing. And didn’t enjoy the experience. He is one of those wishful athletes that requires, knowledge, time and patience to master anything. The three things that didn’t exist for him (and many others) back then. His experience is so completely different from his sister’s initial cross-country ski experience. It took a long time for him to have his cross-country skiing epiphany. (There are many but for coaching it has to be the first Bunny rabbit class he led. Like most he was reluctant and was essentially coerced into leading but after 2 minutes he was awakened. That was almost 13 years ago.) Once the revelation was upon him, he I vowed that any young skier in his care would receive as much patience, time and knowledge as it took for them to enjoy cross-country skiing and to be a skill-full skier. Philosophy: He coaches to win = He coaches so that every athlete learns how to persevere to improve. Everybody Plays. As a child Kevin did some backcountry skiing, but his first involvement in skiing as a sport was 23 years ago when he began coaching in Waterloo. He has since coached Bunny Rabbits, Jackrabbits, Racing Rabbits, Juniors, Seniors and Masters. Over the years Kevin has been a rehabilitation specialist, home-schooling parent, organic farmer and sport coach. He still occasionally lace-ups the flats or spikes to compete in running races. Nick has been on the Ottawa racing scene for many years and also works for one of the club’s loyal sponsors, Fresh Air Experience. 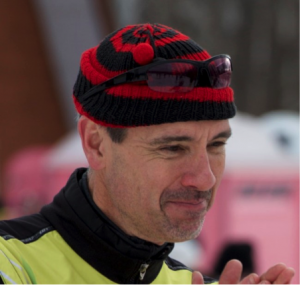 He is the Head Coach of the very successful Carleton University ski team program and provided ski selection and race support for the Nakkertok race program on a part-time basis. Gilles s’est joins à l’équipe en 2001 et a maintenant plus de 35 ans d’expérience dans la compétition, le fartage et le « coaching ». Il est le fier papa de trois enfants, Noémi, Camille et William. Camille est une nageuse paralympique, qui a participé aux Jeux de Londres en 2012 et de Rio en 2016. Gilles a skié dans sa première Coupe Québec en 1979 et a représenté l’Outaouais aux Jeux du Québec en 1981. Gilles et son épouse, Louise, ont tous deux fait partie de l’équipe de ski de fond du Québec de 1983 à 1985. Louise a mené une étude biomécanique de la technique de la double poussée, Gilles étant un des participants à l’étude. 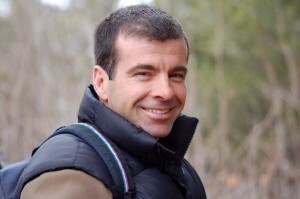 Gilles has coached at Nakkertok from the Racing Rabbit to the Junior level. He successfully ran the grip and glide tests from 2004 to 2012 (7 Nationals, 5 WJT and many QCups). He was named ‘’Builder of The Year’’ in 2004 and received the Golden Toque in 2006. He was involved in building the Owl Cabin in 2004, the Ski Barn in 2006 and the Lit Loop. He enjoys coaching and likes to see every athlete achieve their goals. In his free time, he enjoys drinking lattes in a bowl and playing Scrabble. Alain s’est joins à l’équipe en 2011, participant au programme Racing Rabbit pendant quelques années avant de progresser chez les Midgets et Juveniles, ses deux fils étant skieurs. Skieur loppet a un jeune âge, Alain a participé a plus de 30 Marathon Canadien de Ski. Au Collège Militaire Royal, il repart l’équipe de biathlon en 1988. Alain takes great pride in seeing the athletes become strong, confident and happy young adults as they embark in the (hopefully) long lasting Nordic lifestyle. 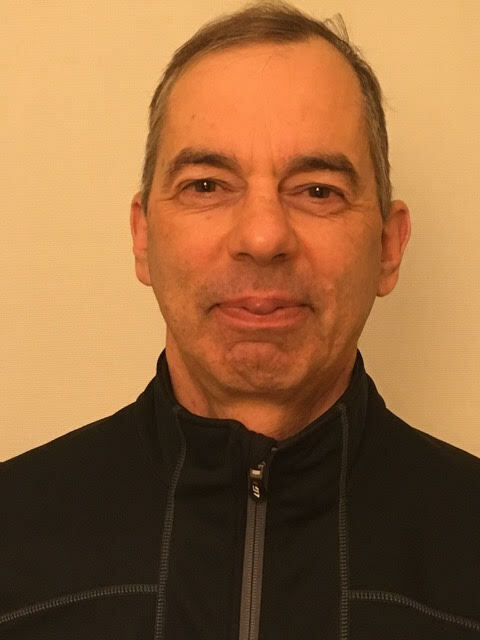 Lyle is a level 3 XC coach and was at one time head coach of the Outaouais Regional Ski Team, the Club Ullois and coordinator and head coach of the Quebec Ski Team. In 1987, Lyle and his wife Céline Giguère (a former long time member of the Canadian XC Ski Team) coached the Quebec ski team to 11 XC medals at the Canada Games. 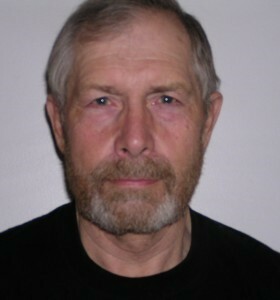 Lyle was an assistant coach at the 88 Calgary Olympics and has two of his children active at the club. One day, he plans on resuming his level 4 certification. 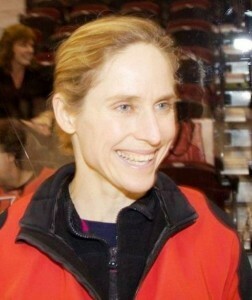 Sue Holloway started ski racing when she was 10 years old at the Ottawa Ski Club. Sue worked her way up the ranks and eventually made the 1976 Olympic Team and was a member of the 7th place 4 X 5 km relay team. Sue also participated in kayaking at the Summer Olympic Games achieving both silver and bronze medals in 1984 in Los Angeles. A lifetime member of Nakkertok Sue has been a cornerstone of the Racing Program having first joined the coaching ranks as an instructor in the Bunny Rabbit Program to the point where she now co-coordinates the Racing Rabbit program with Kevin Jones. 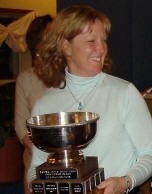 Sue brings a wealth of experience, fun and enthusiasm to the Nakkertok Ski Racing program. Sue has her Level 2 NCCP and a Physical Education degree with a special interest in mental training. Sheila is passionate about cross country skiing and loves sharing her enthusiasm for the sport. She wants the kids she coaches to develop self-confidence and skills (commitment/patience/pursuit of excellence) that will help them excel in skiing and achieve in other aspects of their lives. Sheila loves to race, and over the years has competed in rowing, cycling, running, duathlon, triathlon, and cross-country skiing, which remains her favourite sport. To help her keep up with the Racing Rabbits, Sheila trains and races withwww.xcottawa.ca. Sheila has a Masters in Public Health and her work on lifestyle changes, diet, and health has sparked a keen interest in sports nutrition, which she writes about at http://www.xcottawa.ca/nutrition.php. 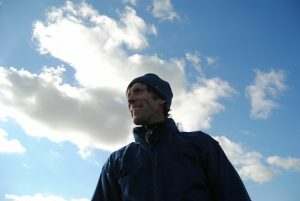 John has been coaching xc-skiing since 2004, first in the Learn-to-Ski program and then with Racing Rabbits beginning in 2008-09. He is formalizing his coaching training and currently has ICC and CC certification. Through training and racing, John hopes to help young skiers improve their skiing and build confidence, so that an active lifestyle becomes a lifelong pursuit. 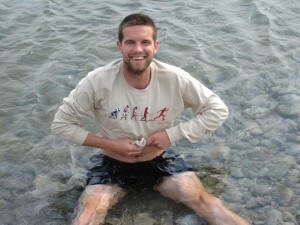 Besides skiing, John also likes to run and bike, and even manages the occasional race or two. 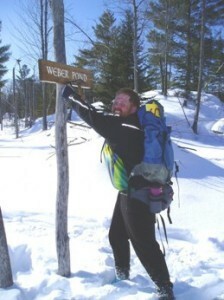 Dave is a level 3 certified coach and has been coaching Cross Country skiing for 25 years. Dave started coaching in 1980 where he took his CANSI level 1. During the period that Dave’s been coaching with Nakkertok he’s helped many athletes to achieve provincial and national level championships including five athletes who won national junior championships in Cross Country or Biathlon. Dave has been head division coach at 3 national championships and assisted in 4 others. Dave has been instrumental in helping to further develop the coaching program at Nakkertok. Dave’s current interests are in developing skiers and coaches. Dave enjoys the technical areas of both ski technique and waxing. Steven has been a member of Nakkertok since the late 70s as a Jackrabbit, racer, coach and administrator. 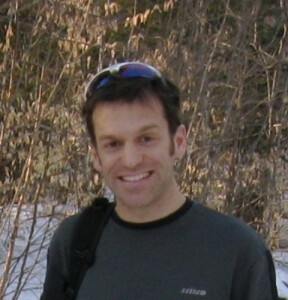 Steven started coaching with the University of Waterloo Nordic Ski Team in 1992 in his final year of university. Upon returning to Ottawa Steven joined the coaching team at Nakkertok bringing his love of the sport, playful but challenging attitude and commitment to the well being of each athlete. After ten years of coaching with the Junior Racing Team, including at Ontario Cup, and Nationals Steven, turned his focus to the Jackrabbit program. Steven has been active with his three boys, coaching and administering, with Bunnyrabbits, Jackrabbits, Mud Monsters, Wapoos and most recently with the Racing Rabbits (Learn To Train). His greatest pride is watching the athletes he coached continue returning to contribute to the Nakkertok community. Steven continues to stay fit commuting to work downtown by bike, foot, roller skis and skis. Paul was a keen back country skier while he lived in Calgary, and continued skiing when he moved to Brampton, and then Ottawa. He joined Nakkertok in 2000 leading Jackrabbits, and followed his 2 children to the race program. His children have since graduated from university, and Paul is still coaching skiers. Helping young athletes develop their skill & confidence, and joy in an active lifestyle are goals.